Today we have a real treat! Linda Prieto has been a friend of the workroom since she first took classes back in early 2014. This is not an ad, nor was there any compensation involved in this. We are happy to promote students and past students as they journey through the world of sewing & design. Since an early age sewing has always been a constant in my life. Where I remember my Mom having a sewing machine attached to a table, I do not remember her sewing, but rather crocheting. The creativity she passed down to me originated in her homeland of Ecuador where she handmade Panama hats to sell. As a child I was intrigued by her sewing machine and loved looking through the one small drawer stuffed with sewing notions. My earliest sewing memory is hand sewing a purple fitted dress with a diamond cut out on the front bodice for my Barbie. I continued learning to sew primarily by trial and error. 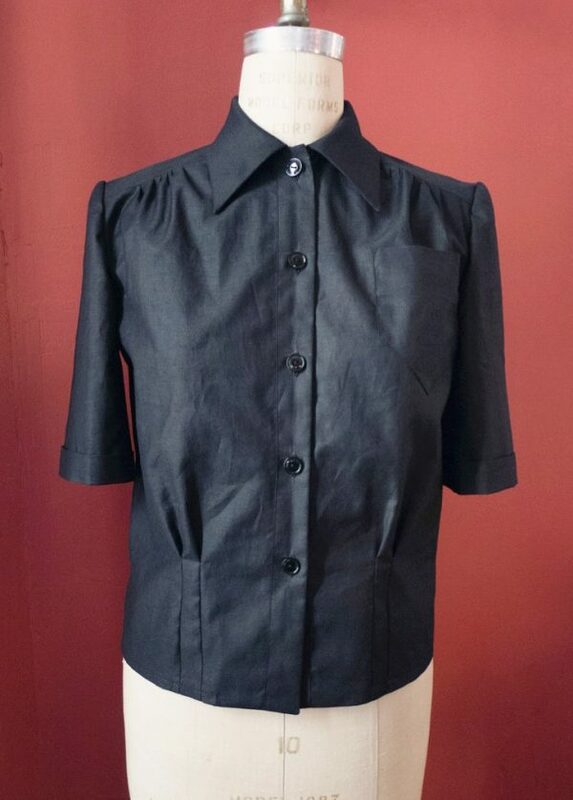 When I started sewing garments for myself I sought to advance my skills by signing up for workshops around Chicago and enrolling in online courses. 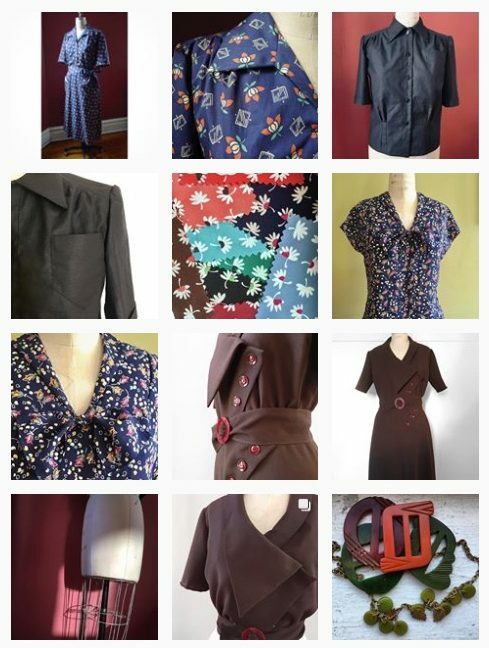 My inspiration for sewing derives from my collection of vintage clothing. 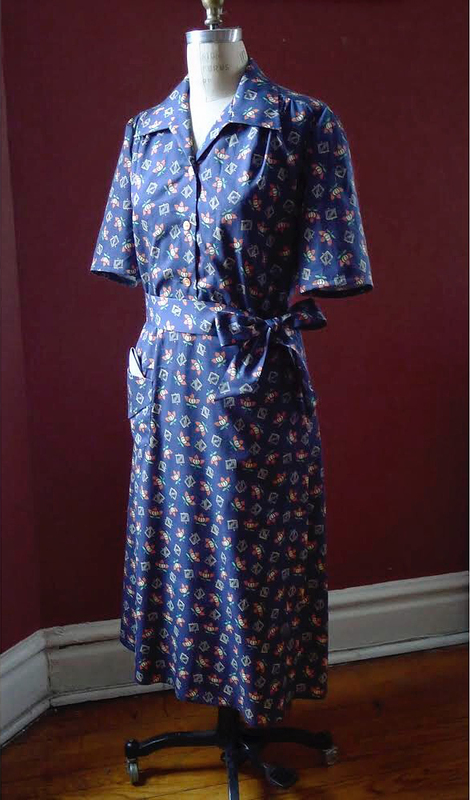 I work with patterns and fabric from the 1930’s and 1940’s to create reproduction garments. While I do not connect with women’s place in society during those time periods, I find an appreciation for the modesty of the clothing. 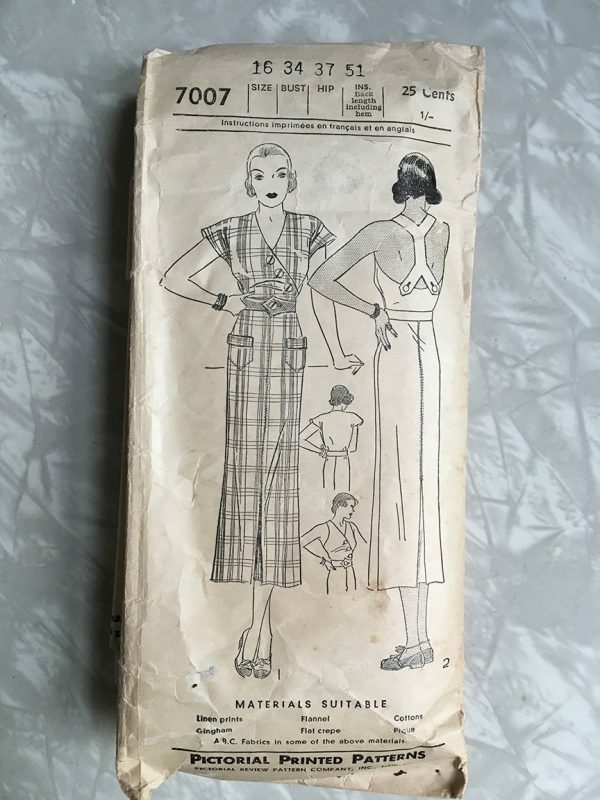 I find the designs to be well thought out with high necklines and long slim skirts, using small details such as pockets on the front of skirts, kick pleats, and shirring on the waist and shoulders to be my favorite details of garments from those eras. 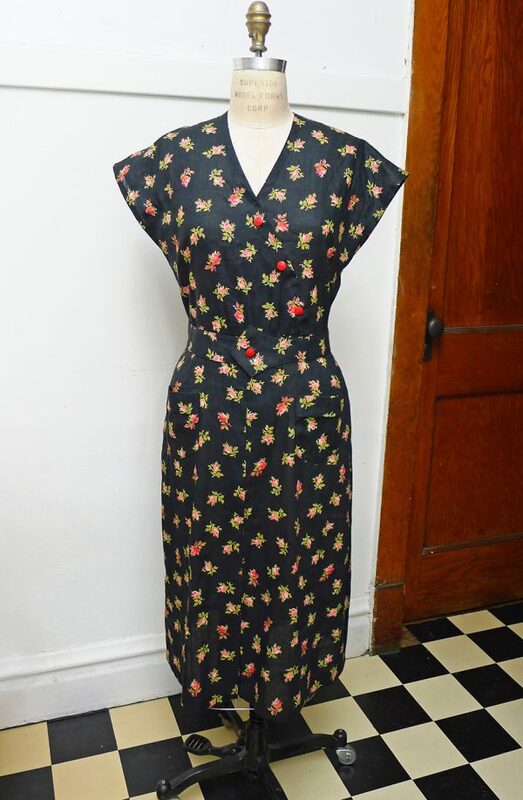 Vintage fabric housedress by Linda Prieto. 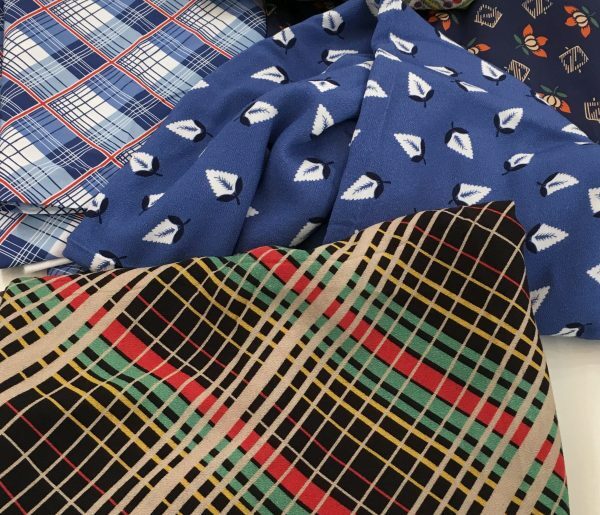 The fabric from those eras also gained my interest through learning more about how the colors and designs defined each era. Along with the well constructed design of the garments, bold and vivid patterns were used, which added to the beauty of the garment. I especially like the art deco influence in the designs. My appreciation for the ingenuity of color placement and designs varying from geometric to florals of these eras inspired me to reproduce these fabrics. 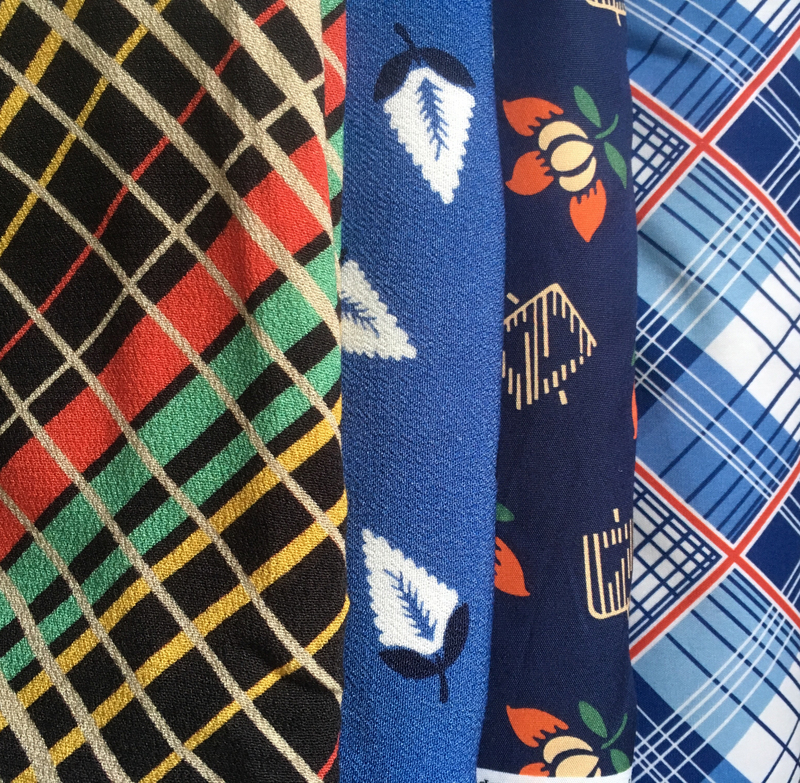 I took on the challenge of learning the steps of not only re-creating the designs, but also the printing process to start a reproduction vintage fabric business. 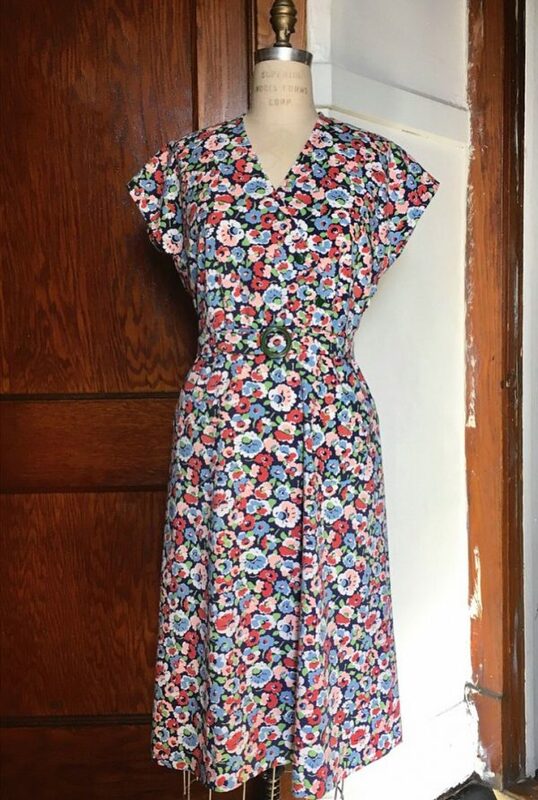 I have dreamed of starting my own business and where vintage sewing has been my passion, I feel that I can make a positive contribution to the art. Telalinda is my solo vision to build an online shop of reproduction fabrics for those who appreciate the quality, texture, and colors of the past. Telalinda is a combination of my name and the word fabric in Spanish, translating to beautiful fabric. The concept of my business is dedicated to my family in Ecuador and the United States, naming each fabric after one of them. Fabric content and weight is taken into consideration to match the original fabric quality as close as possible. My goal is to provide everyone the opportunity to create something amazing from fabric that was once available in vintage catalogs. 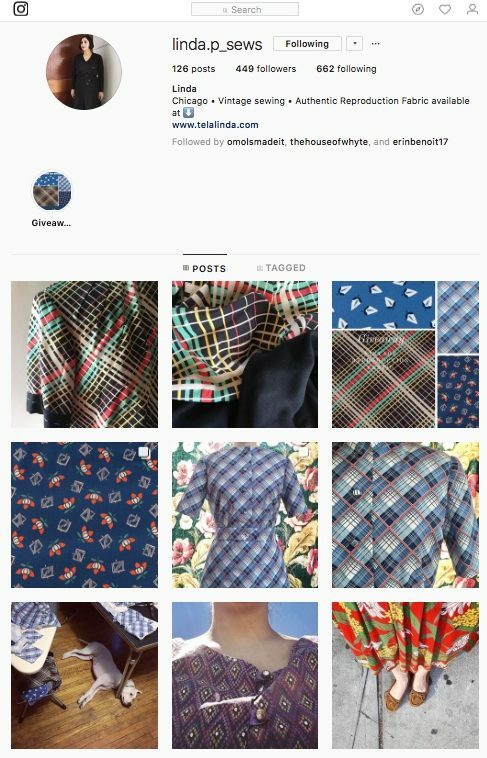 You can see more on Linda’s Instagram for her work @linda.p_sews where you can see her sense of subtlety and her solid sense of reproduction aesthetic. Next Post: Enrolling Winter 2019 Sewing Classes Now!